The human body must maintain a constant pH level to function properly. According to Dr. Ben Kim, the blood plasma in the body must maintain a pH between 7.35 and 7.45 for your cells to function properly. The pH scale ranges from 0 to 14, with 0 being a very strong acid and 14 being a very strong base, or alkaline. Neutral is marked at 7 on the pH scale, so the human body is fairly neutral but leans toward the alkaline side. Urinate on a strip of pH paper. According to the Prevent Disease website, urine test results tell how well your body is assimilating minerals like calcium, magnesium, potassium and sodium. 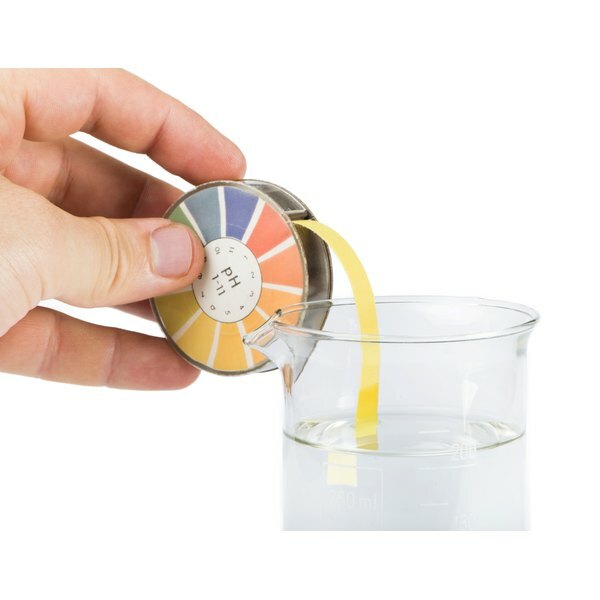 Since the body is about 70 percent water, the natural pH of urine should be close to 7. Compare the resulting color on the pH strip to the color code on the box. This will tell you the pH of your urine. The Prevent Disease website says a urinary fluctuation between 6 and 6.5 in the morning and 6.5 to 7.0 in the evening indicates a healthy body. Test the pH of your saliva. Place a strip of pH paper on your tongue, and let your saliva sink into the paper. The best time to test your saliva is an hour before a meal or two hours after eating. This way, the pH of the food you eat will not interfere with the saliva's pH reading. Visit your doctor. If you are concerned with your body's pH level, you can go to your doctor and request a blood pH test. Healthy blood pH levels range from 7.35 to 7.45. Go to your doctor right away if you are experiencing any major signs of health problems, such as shortness of breath, rapid heart rate, high blood pressure, high temperature or dizziness. What Substances Act As Natural Buffers?